Preface: Stanford University celebrated the 50th anniversary of Alfred Hitchcock's Vertigo with a Symposium on October 17, 2008 at Stanford Humanities Center from 11 am to 5:30 pm. I enjoyed all the presentations, especially Jean-Pierre Dupuy's "Time and Vertigo" that I did a web page simulating his PowerPoint show. 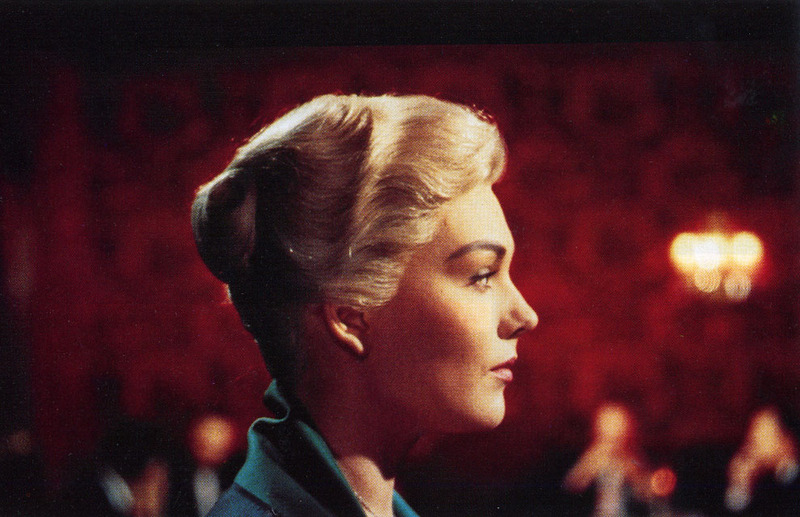 Professor Richard Allen described Vertigo as "a film of profound melancholy." Suddenly I realized that Albrecht Dürer's Melencolia I (1514) had many images that are in Hitchcock's Vertigo (1958). A comparison of the symbolism in these two great masterpieces 444 years apart resulted in the pictorial essay "Hitchcock's Vertigo & Dürer's Melencolia". 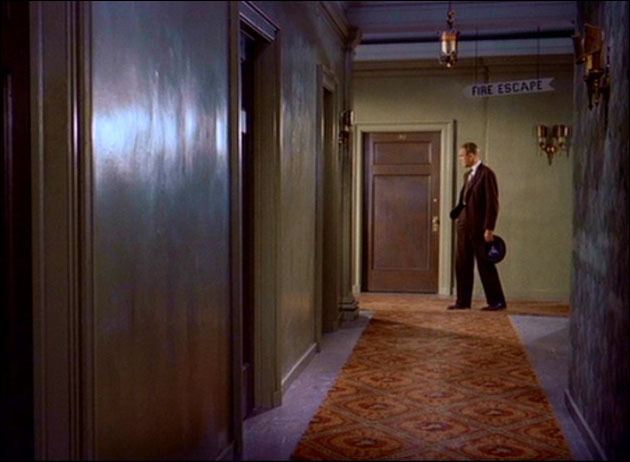 The present pictorial essay explores five mythological themes in Hitchcock's Vertigo Kali, the Great Mother; Orpheus & Eurydice; Pygmalion; Tristan & Isolde; Faust & Mephistopheles. 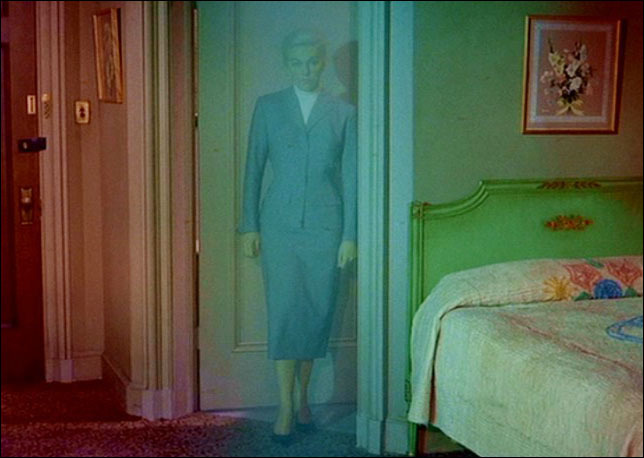 Enlarged images from 1000 Frames of Vertigo (1958) were edited in Photoshop for brightness & contrast and resized. Frame #s are denoted for reference. Film quotes are from Hitchcock's Vertigo Script. consoles him "Mother is here." You're not lost. Mother is here." haunts her and later Scottie. Is she Kali "The Black One"? devour life and Scottie's love. 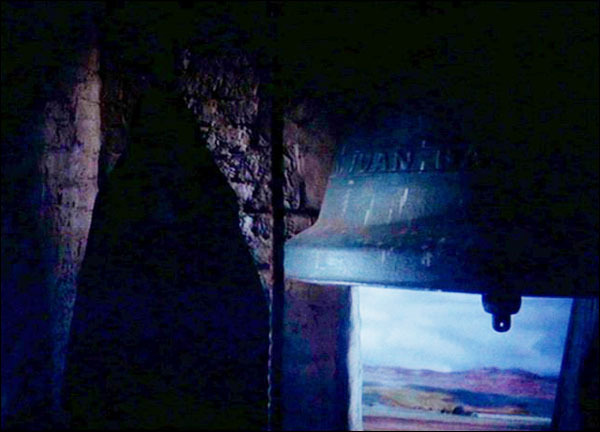 Mother Superior tolls the Bell. Kali is the supreme mother goddess of India, known as The Black One, and consort of Siva. As Kali she is the mother goddess in destructive aspect, devouring the life she has produced. The power of Kali abides in every woman. She is usually depicted with four arms. As life-giving mother, she has a golden ladle in her right hand, the bowl of abundant food in her left. In her dual aspect she holds the symbols both of death and immortality; the noose to strangle her victims, the iron hook to drag them in, the rosary, and the prayer book. She is sometimes pictured as a horrible hungry hag who feeds upon the entrails of her victims. In some Tantra texts she stands in a boat floating on an ocean of blood, drinking from a skull the lifeblood of the children she brings forth and eats back. 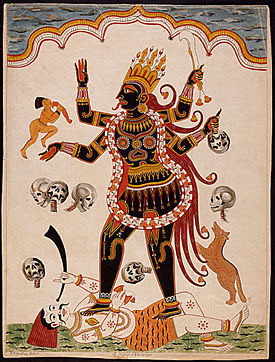 In another Tantric depiction, Kali is shown black as death with a necklace of heads; in her two right hands she holds the sword and the scissors of physical death; in her two left hands, the food-full bowl and the lotus of generation. She is strangely beloved in India as the beautiful, horrible, wonderful, life-giving, life-taking Mother. (For the first European translation of the Kalika Purana containing the life story of Kali, see Heinrich Zimmer, The King and the Corpse, New York, 1948, p. 240 ff.) [Maria Leach (Ed. ), Dictionary of Folklore Mythology and Legend, Volume Two: J-Z, Funk & Wagnalls Co., NY, 1950, p. 568] In the middle of his book of poetry Sleepers Joining Hands (1973), Robert Bly has a chapter "I Came Out of the Mother Naked" (pp. 29-50), where he covers the Mother image in many cultures "The earliest sculptures unearthed in Ice Age caves (Venus of Willendorf) are statues of a Great Mother, breasts and hips immense to suggest her abundance. This mother, who brings to birth and nourishes what is born, we could call the Good Mother... She is called "good" because whe wants everything now alive to remain alive... When a culture begins to return to the Mother, each person in the culture begins to descend, layer after layer, into his own psyche. When he starts to go down, the dead are grateful, and the trees and plants stir as if waking. As he sinks away from the Father's house, he may see, even before he sees the Good Mother, the Death Mother... She never appears in Christian iconography: the Christians kept only a merciful Mother. Lilith appears seldom in the Old Testament. Hecuba was the last reminder of the Death Mother in Demeter civilization. The Indian subcontinent, never left the Mother, and their Death Mother, Kali, still has active temples in India... Kali is often sculpted dancing on a dead man, skulls like love beads around her neck. The Mexican Death Mother Coatlicue wears a skirt made of Mother Goddess snakes. The Death Mother's job is to end everything the Good Mother has brought to birth." 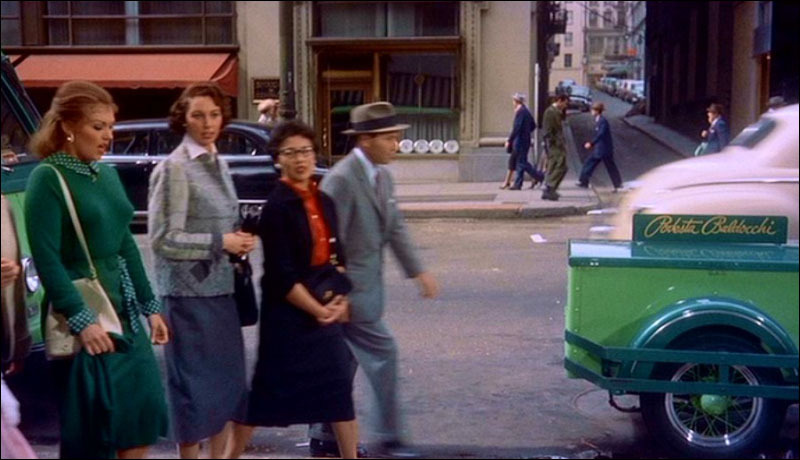 Mother images from Vertigo are shown at left. 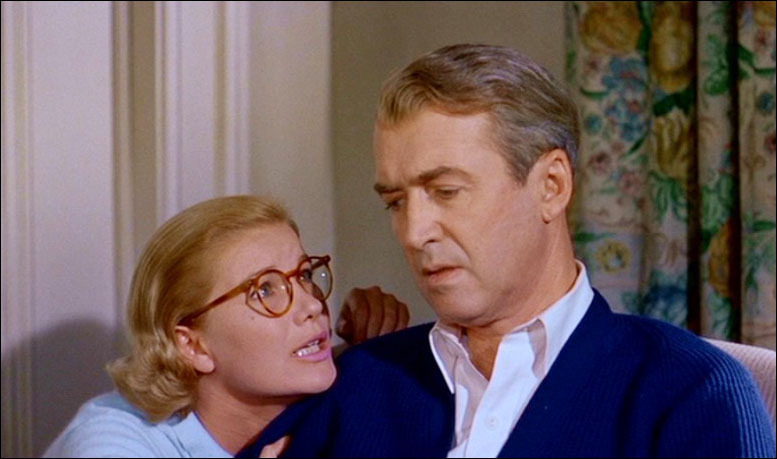 Midge recommends Scottie to go away for a while after his retirement from the police force, and he tells her "Midge, don't be so motherly." Next Scottie examines Midge's brassiere model symbol of breast and motherhood. 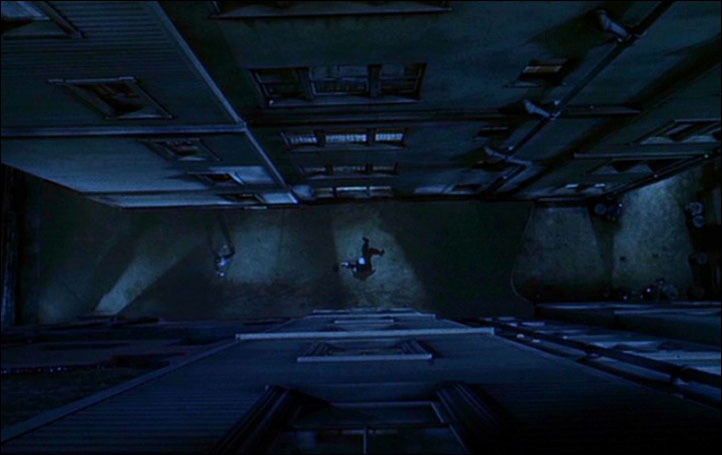 When Scottie sees the steep descent from the high-rise buildings outside Midge's window, he falls off the stepladder from acrophobia. Midge embraces and consoles him "Mother is here." She would say this again at the sanitarium, playing Mozart to help Scottie recuperate from his psychotic trauma after Madeleine's death. Midge plays the role of the "Good Mother", trying to nourish Scottie back to health and normalcy. On the other side is the "Death Mother" represented by Carlotta Valdez, Madeleine's great-grandmother who haunts her to suicidal tendencies and later Scottie when he goes insane. 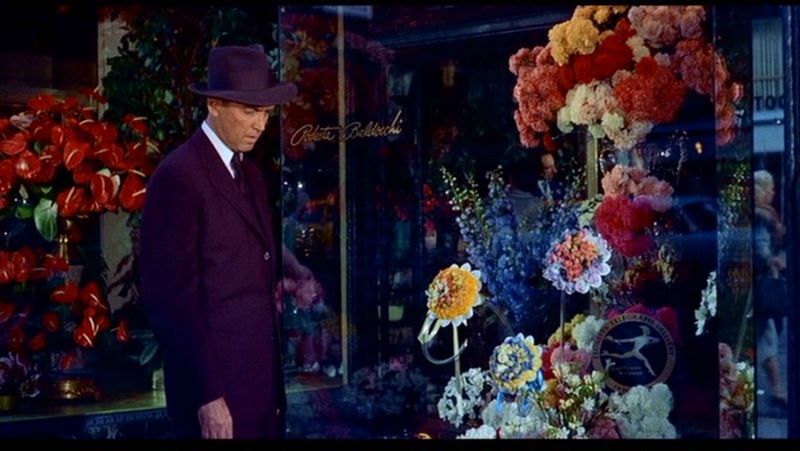 Scottie's nightmare of Carlotta's open grave (Frame #723) with him falling into it is a prime example. In the first half of the film, Madeleine appears as a mysterious woman preoccupied with death, visiting the graveyard of Carlotta at Mission Dolores, jumping into San Francisco Bay at Fort Point in suicide attempt, and falling off the Bell Tower at Mission San Juan Bautista, These death scenes are characteristics of Kali with necklace of skulls around her neck and blood dripping around her. In the second half of the film, Judy Barton appears much more down to earth from Salina, Kansas. However when Scottie molds her into Madeleine, she takes on a ghostly air. 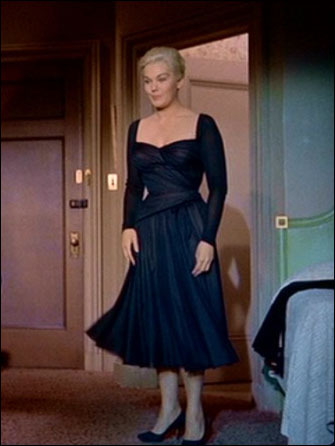 In her last dinner date with Scottie, Judy puts on a black dress is this a hint that "The Black One", Kali, the Death Mother is coming out. Putting on Carlotta's necklace is like Kali's necklace of skulls a symbol of death. 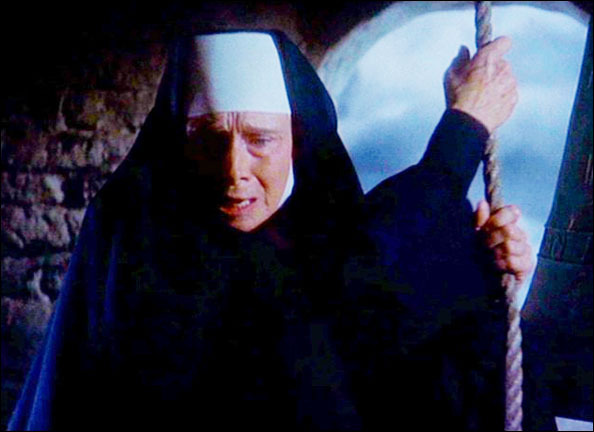 The final scene on top of the Bell Tower, Mother Superior makes a sudden appearance that precipitates Judy/Madeleine's fall to her death. This is the Death Mother that takes away the love life that Scottie has painstakingly created when he transformed Judy into Madeleine. life at the Empire Hotel? 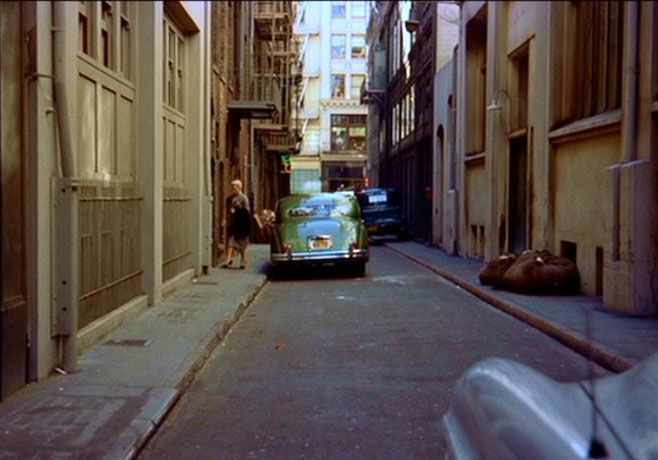 In Vertigo, Scottie seems like a lost soul after Madeleine's death (Frame #732) just like Orpheus when Eurydice died. After his recovery from the sanitarium, Scottie frequented the haunts where Madeleine went Brocklebank Apartments (Frame #761), Ernie's Restaurant (Frame #768), Legion of Honor Museum (Frame #770). 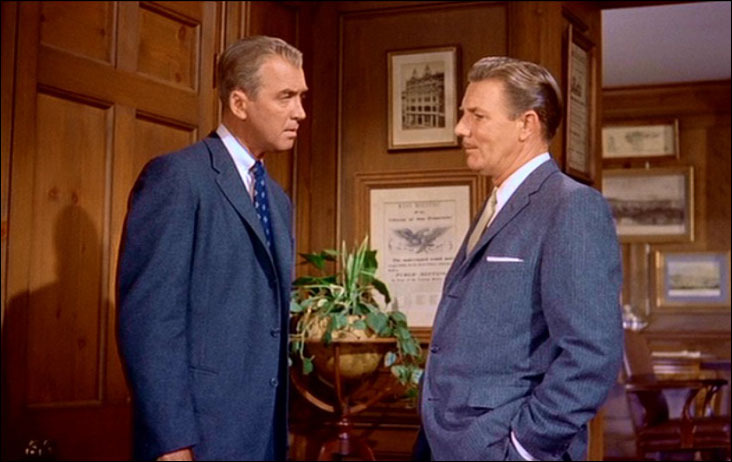 Anyone who was blonde or wore a gray suit like Madeleine caught Scottie's attention, but alas they were not his lost love. 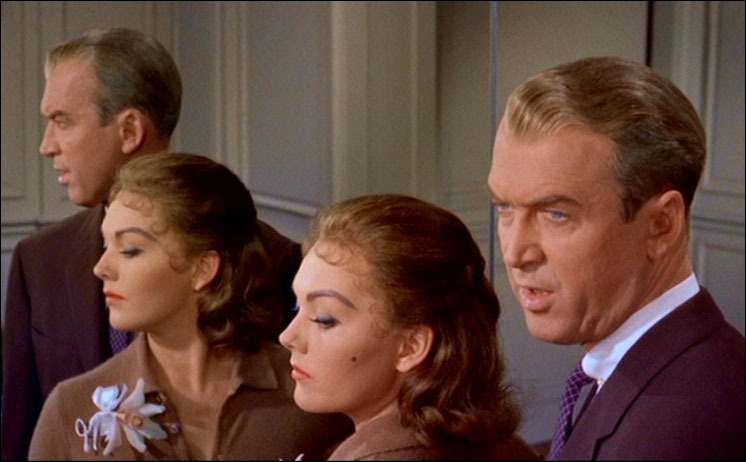 The next three scenes from Vertigo (Frames #771-773) seem to parallel Kerenyi's description of the images on the Italian vase-painting. Scottie is an Orphean initiate appealing to Hades, Lord of the Underworld, to give him back his lost love Madeleine. The rose bouquet (Frame #771) represents the initiate's wreath of corn that he's wearing and the bough in his hand. Scottie looks to the right window (Frame #772) instead of the left at Podesta Baldochhi, thus avoiding Lethe, water of forgetfulness, and is cured by Mnemosyne "Memory". Only then does Scottie spots Judy walking by, who has a striking resemblance to Madeleine (Frame #773). This last frame is of particular interest as Judy Barton walks toward the "Podesta Baldocchi" car. It's as if she's about to walk into her past, to become Madeleine again. 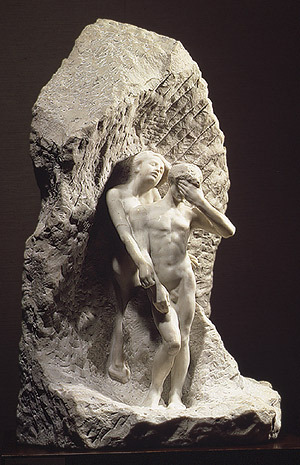 Somehow Scottie was successful in rescuing Madeleine back from the land of the dead like Orpheus in his descent to reclaim his Eurydice from the Underworld. The symbolism is amazing! 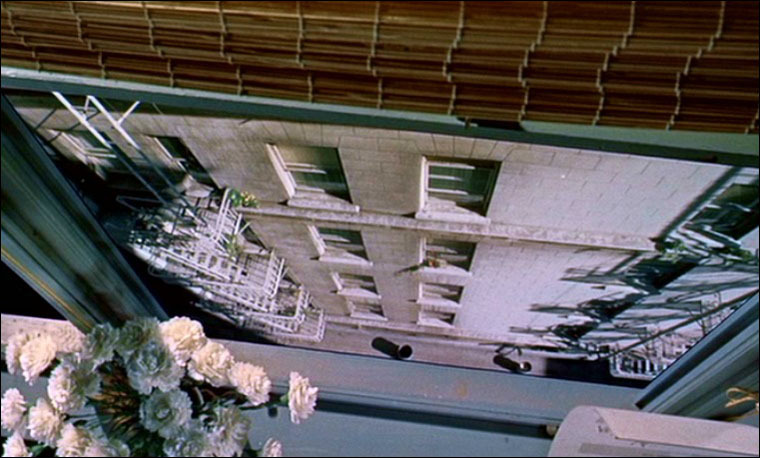 Since Vertigo has a similar theme to Orpheus, we find images of steep descent when the policeman fell off the building trying to rescue Scottie (Frame #42). Scottie faints on Midge's stepladder after seeing the steep descent outside her window (Frame #102). 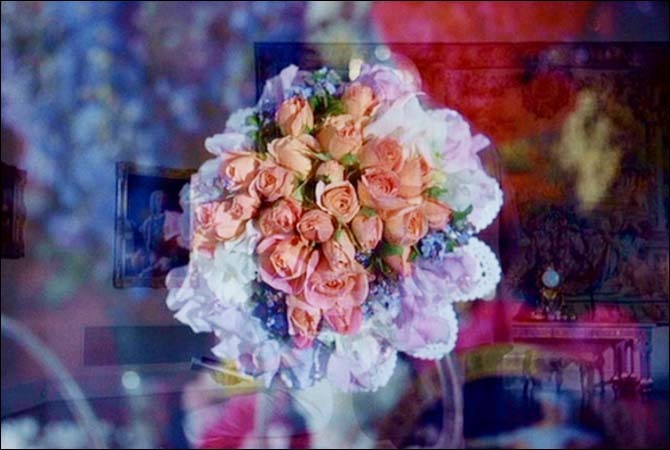 The narrow back alley (Frame #188) to the florist is followed by a trip to the graveyard (Frame #229). 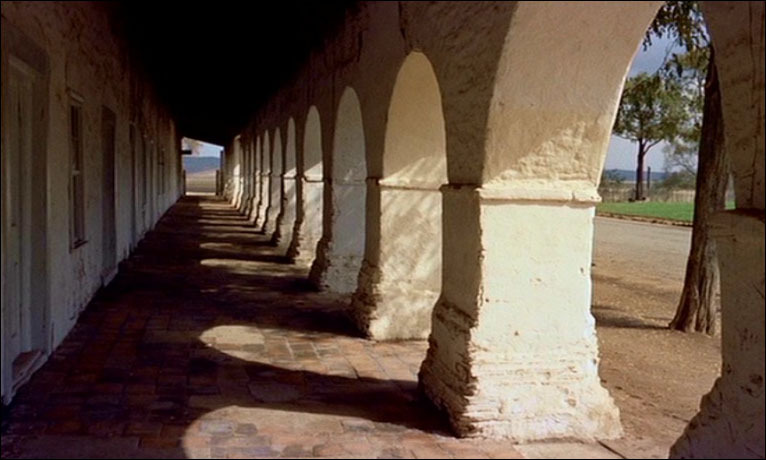 The dark archway at Mission San Juan Bautista leads to the Bell Tower where Madeleine's falls to her death (Frame #671). 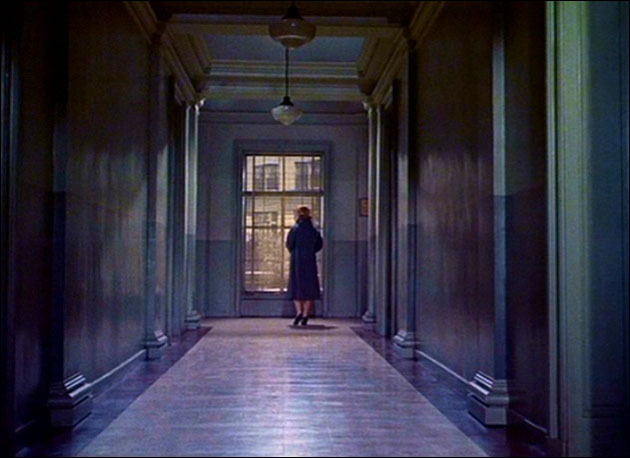 When Midge leaves the sanitarium (Frame #753) down the long corridor, it looks like a passage from the Underworld. After this shot, Midge disappears from the movie entirely and is never mentioned again. When Scottie see Judy who resembles Madeleine, he follows her to the Empire Hotel. As Scottie walks down the hallway (Frame #781), is he playing Orpheus in bringing the dead Madeleine back to life? 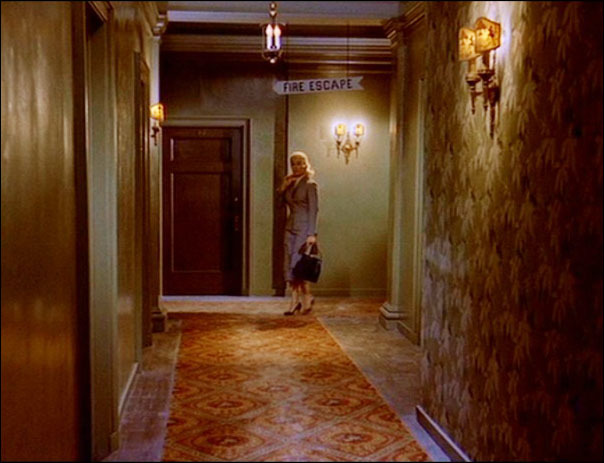 Finally when Judy is transformed to Madeleine, she walks down the hallway of the Empire Hotel (Frame #910) like Eurydice from the Underworld at a second chance for life. 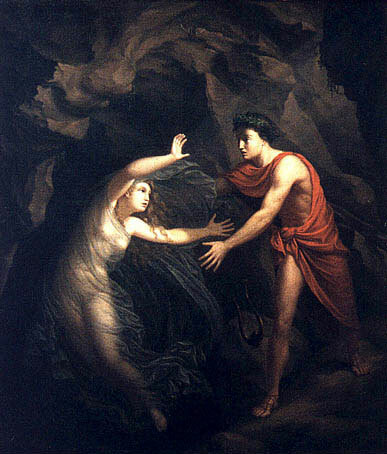 However the mythological tale of Orpheus and Eurydice ends sadly when he turns back and she is snatched away from him into the Underworld again. Likewise when Scottie turns back and drags Judy/Madeleine to Mission San Juan Bautista to relive the scene of her crime, she would fall off the tower again, and he would lose his love forever. 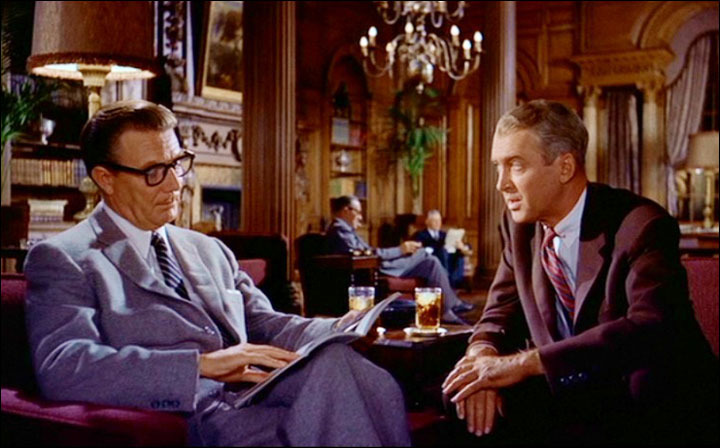 Tom Helmore played Gavin Elster, the sinister husband of Madeleine in Vertigo. 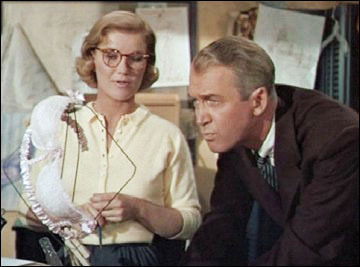 Hitchcock may have enlisted Helmore because of the actor's recent appearance, in Los Angeles, as Henry Higgins in My Fair Lady. 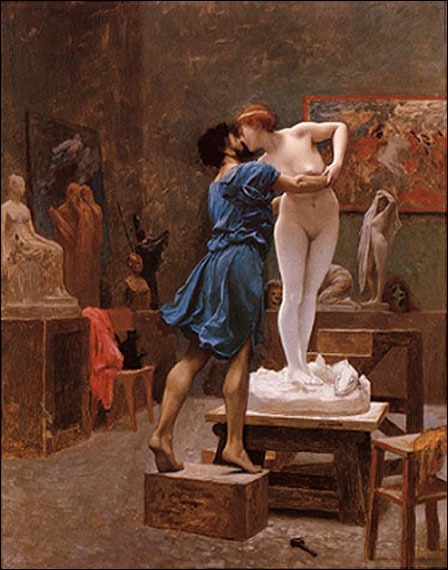 Higgins is the Pygmalion of George Bernard Shaw's drama. (Donald Spoto, The Art of Alfred Hitchcock, Hopkins & Blake Publishers, NY, 1998, p. 296) When Scottie found Judy Barton and followed her back to the Empire Hotel, she wondered why he wanted her Do I really look like her? She's dead, isn't she?... Dinner and what else?... 'Cause I remind you of her? After their dinner date, Scottie wants to see her for breakfast and just be with her. 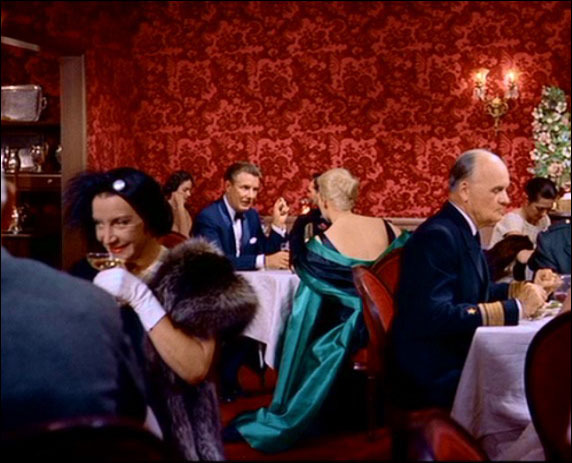 He takes Judy to Ransohoff (Frame #879) so she could be dressed like Madeleine in her gray suit. He insists that she change her hair from brunette to blonde at the Beauty Parlor. When she returns to the Empire Hotel as a blonde, he's not satisfied until she wears her hair with that spiral bun like Madeleine/Carlotta. Only then Scottie's desire is fulfilled and he kisses her passionately. Like the Cyprian sculptor Pygmalion who fell love with his marble statue Galatée, that Aphrodite brought to life, so Scottie has made the dead Madeleine alive by his force of will. Later when Judy puts on Carlotta's necklace for their dinner outing, Scottie gets suspicious. He takes her back to Mission San Juan Bautista and the scene of the crime. Scottie drags Judy up the spiral staircase, mad as ever that he's been had by Gavin Elster. He shouts at Judy: You played the wife very well, Judy. He made you over, didn't he? He made you over just like I made you over, only better. Not only the clothes and the hair, but the looks, the manner and the words... and those beautiful phony trances... Then what did he do? Did he train you? Did he rehearse you? Did he tell you exactly what to do, what to say? You were a very apt pupil, too, weren't you? Scottie's obsession in transforming Judy into Madeleine to satisfy his desire seemed so devious. But Gavin Elster's murder plot in shaping Madeleine to trick Scottie is even more nefarious. 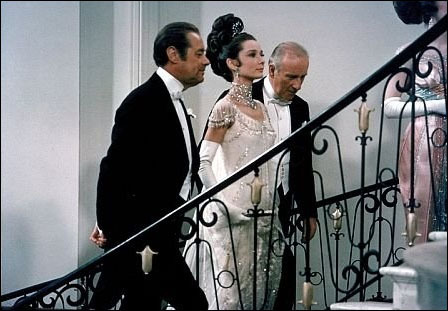 The scene of Carlotta/Madeleine between the two men in Scottie's nightmare (Frame #720) is reminiscent of Eliza Dolittle (Audrey Hepburn) between Professor Higgins and Colonel Pickering who transformed a gutter-snipe into a lady in the film My Fair Lady (1968) based on Shaw's play Pygmalion (1913). 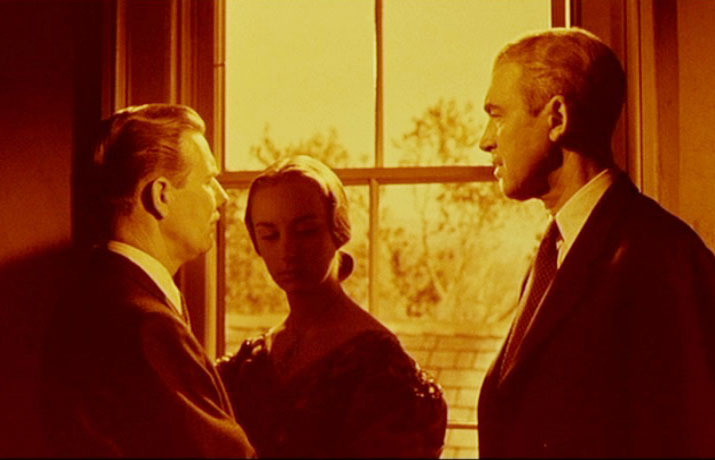 Bernard Herrmann's score in Vertigo is heavily reminiscent of Richard Wagner's "Liebestod" in Tristan und Isolde, most evident concerning the resurrection scene. When Madeleine first appears at Ernie's restaurant to Scottie's view, we hear the Tristan und Isolde theme played when her profile is seen on the screen (Wagner's "Liebestod" midi file). 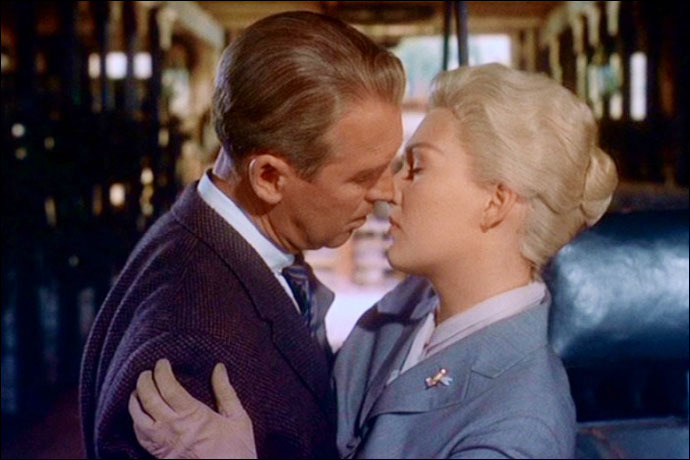 There are three passionate kissing scenes between Scottie and Madeleine (1) by the 17-Mile Drive ocean after Scottie tells her The Chinese say that once you've saved a person's life... you're responsible for it forever, so I'm committed.; (2) by the Livery Stable carriage when Scottie cracks Madeleine's dreams of being in Spain to be none other than Mission San Juan Bautista, 90 miles south of San Francisco; (3) in Judy's apartment at Empire Hotel when Scottie transformed her into Madeleine, resurrected from death. 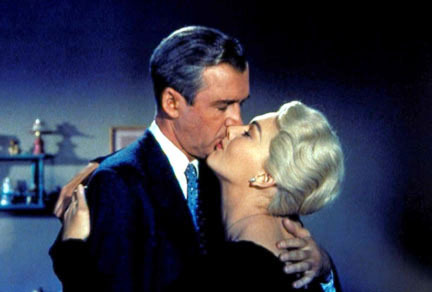 The last kiss in Judy's apartment (Frame #946) was not so passionate because Scottie saw the necklace which Judy put on was Carlotta's. With his doubts, he now takes Judy back to the scene of her sinister crime with tragic consequences. 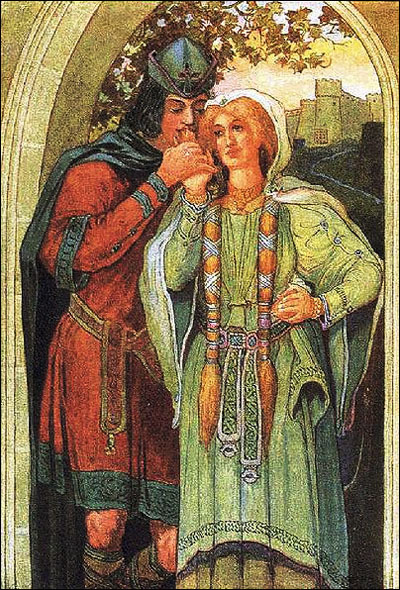 The French word triste (sadness) is derived from the tragic story of Tristan and Isolde Likewise with the ending in Hitchcock's Vertigo. 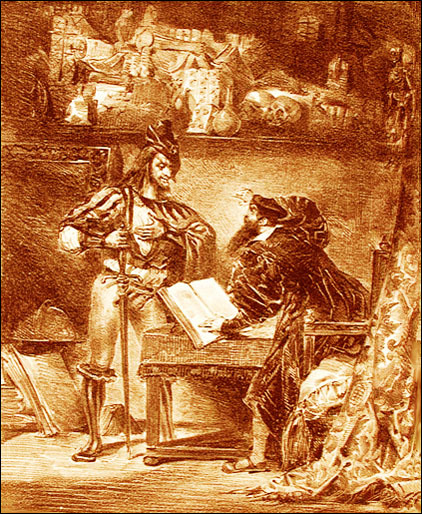 The German legend of Faust who sells his soul to the Devil is the basis for many literary, artistic, cinematic, and musical works, such as those by Christopher Marlowe, Goethe, Thomas Mann, Hector Berlioz, Franz Liszt, Washington Irving, Charles Gounod, Gustav Mahler and Oscar Wilde. Goethe's tale of Faust (1832) is the most widely read version. In Part I, the elderly Faust is frustrated with learning and attracts the Devil (Mephistopheles) who promises him power, knowledge, everlasting youth, and love. In return Faust gives up his soul if he utters the words "Stay on this moment, thou art so fair." Mephistopheles makes Faust young again so he wins the love of the pure Gretchen/Marguerite. 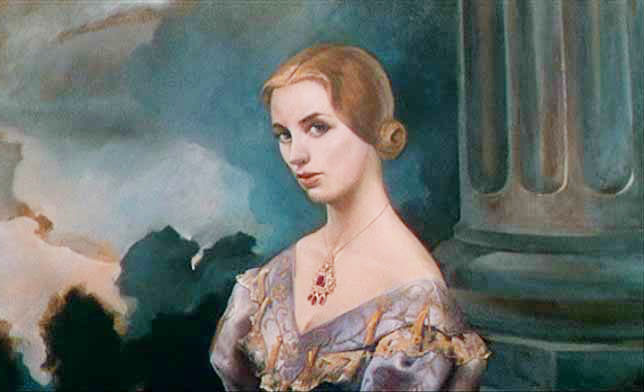 Gretchen and her family are destroyed by Mephistopheles' deceptions and Faust's desires and actions. In Part II, Mephistopheles whisks Faust back to the world of the classical gods. He deceives and persuades Helen of Troy to live with Faust at his castle in the North. Helen represents classical beauty and Faust marries her, and they bear a boy-child, Euphorion. When Euphorion tries to fly high in the sky, he dies like Icarus. The union of Faust and Helen is broken, and Helen returns to Persephone's underworld realm with the soul of their child. Disappointed at his broken love, Faust engaged in civil projects and built the town's sewage system. He realized that helping others is more satisfying than pleasing his ego appetites and says "Stay on this moment thou art so fair." Mephistopheles seizes on that statement and takes the soul of Faust, but God intercedes knowing Faust's true intention and raises him to heaven. 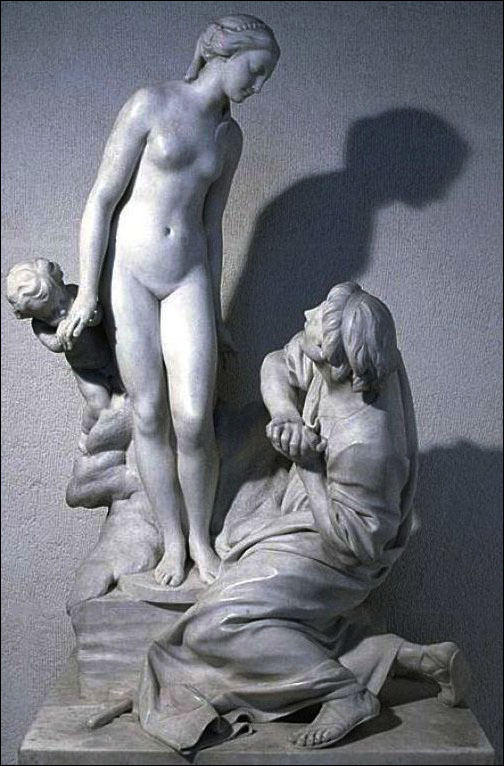 Goethe's Faust ends with the words Eternal feminine leads us above reminiscent of Lao Tzu's Tao Te Ching and Dante's Paradiso that it is the feminine principle that leads us to heaven. 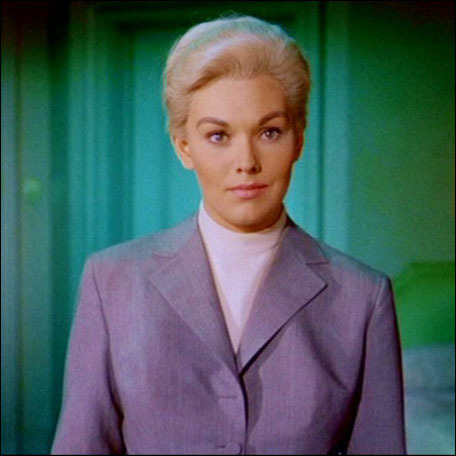 The sinister figure of Gavin Elster in Vertigo luring Scottie to follow his wife Madeleine has a resemblance to the Faust legend. The suave and fiendish Gavin Elster plays Mephistopheles to Scottie's Faust. He quickly grasps Scottie's frustrations and discontent. Gavin tempts him with his wife Madeleine, the very symbol of worldly "colour, excitement, power, freedom." Yet she's also someone who is still mysterious and other-worldly, walking like Carlotta Valdez in a trance. Madeleine is also like Goethe's Helen of Troy who supplants the simple and abused Gretchen in Faust's fancy and points him toward "the world of eternity where all the opposites are transcended." The scene where Helen of Troy emerges from a cavern of mist resembles Judy coming out as Madeleine like a ghostly figure (Frame #922). 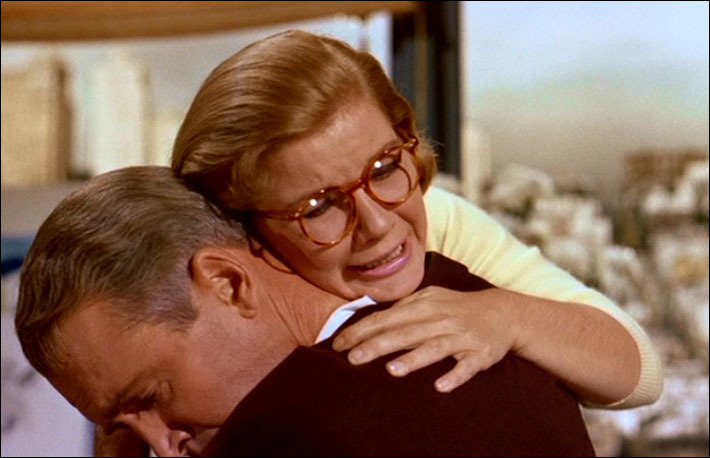 Unfortunately in Hitchcock's Vertigo all does not end well with Scottie. His sole desire of lust for Madeleine has blinded him to all else. Hence the devouring Great Mother "The Black One" comes at the end (Frame #996) to reclaim his love. Scottie takes a fall like Judy/Madeleine (Euphorion/Icarus in Faust) whereas Dante and Beatrice "go-Verti" go vertically, transcending time and ascend to Paradise.